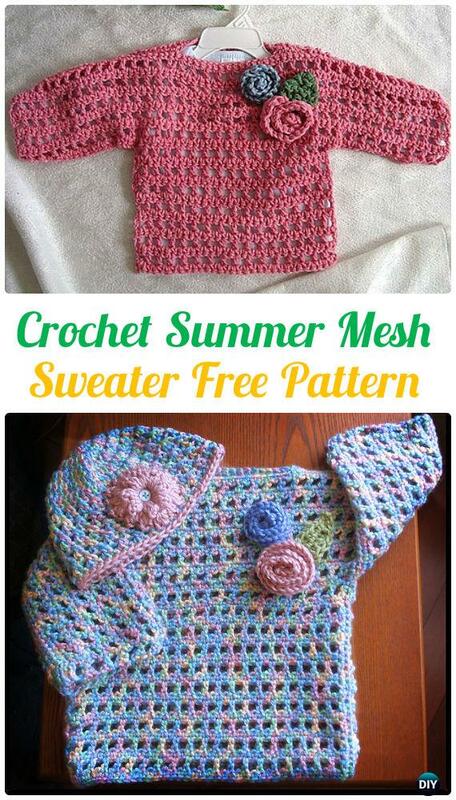 Cardigans are best gifts to crochet for kids, so are the sweater tops. Thick pullover sweater tops are essential garment for winter wear, by changing the light yarn and bright color, they can be perfect outwear for all seasons around, too. 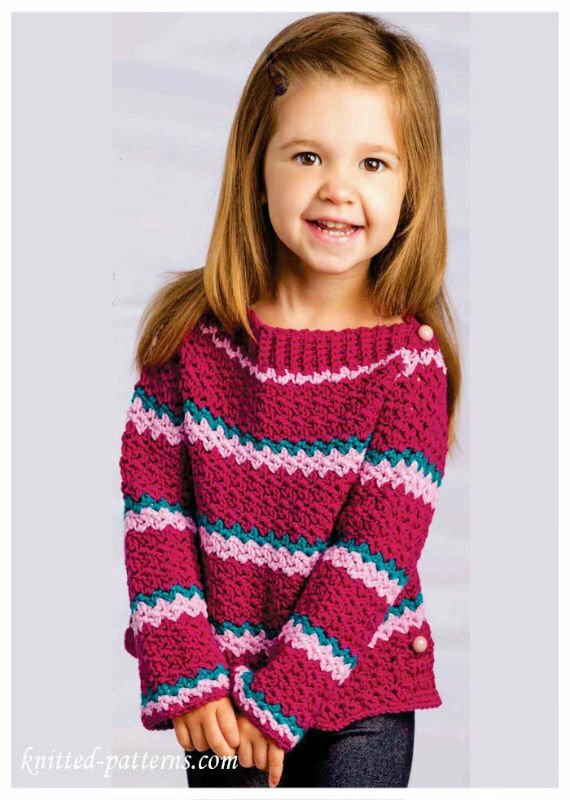 Today, our Crochet Channel will compile a collection of brightly designed crochet kids sweater tops with free patterns. 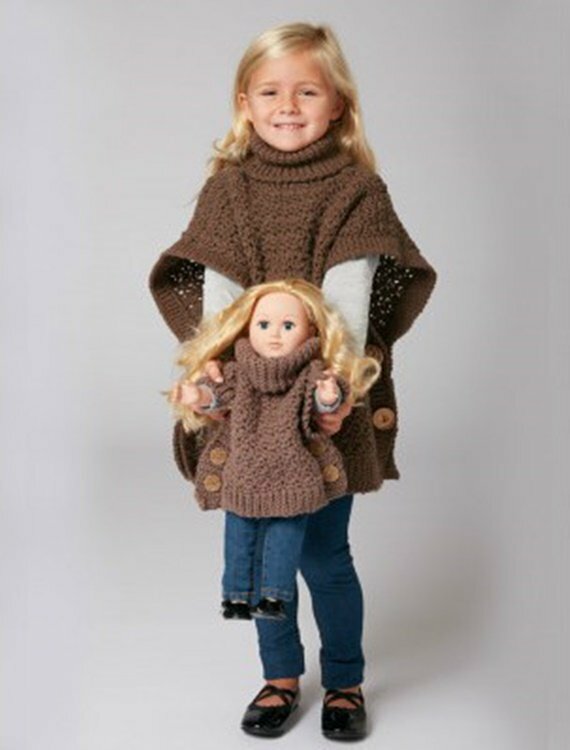 Adjust the size and sleeve length to make it tank top or tunic for your little girls, scroll down and see what we have included below. 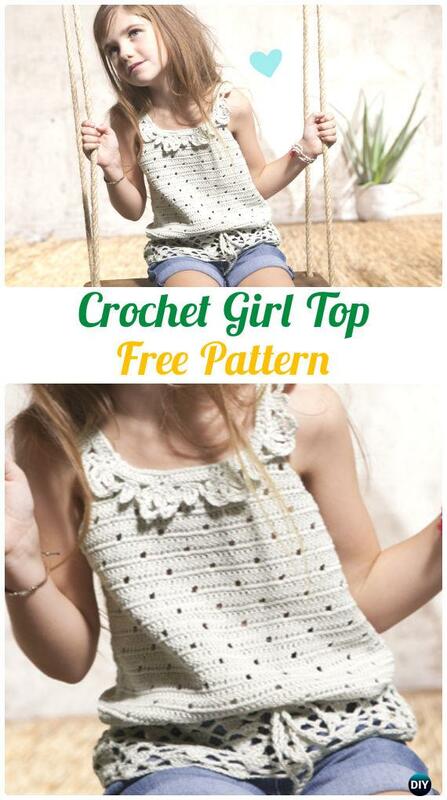 This cute crochet girl top is perfect for warm spring days and is finished with a cute and nice decorative edge.